CHITRAL Sept 7 (APP): Advisor to the Prime Minister, Engr Amir Muqam here Wednesday asked Pakistan Tehrik e Insaf (PTI) Chief Imran Khan and Pakistan Awami Tahrik (PAT) Chairman, Tahirul Qadri to explain their agenda of confrontational politics to masses. “I ask Imran and Qadri to let the people know about their agenda of politics of agitation,” he said while addressing a big public gathering on occasion of the visit of Prime Minister Muhammad Nawaz Sharif to Chitral district. The public gathering was echoed with pro Nawaz slogans amidst colourful welcoming banners displayed in the public meeting. Minister of State for Information Technology, Anusha Rehman, former KP Governor Sardar Mehtab Ahmed Khan, District Nazim Chitral Maferat Khan, Member National Assembly from Chitral Shahzada Iftkharuddin Khan, Member National Assembly from Dir Upper Shabzada Tariqullah Khan, PMLN Chitral President Said Ahmed Khan, PMLN leader Malik Jehanzaib were also present on the occasion. 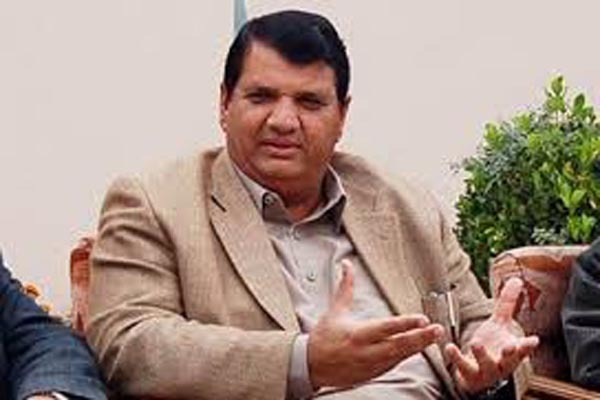 Engr Amir Muqam said people of Azad Kashmir, Gilgit Baltistan and all the four provinces have rejected the politics of agitation of PTI and PAT in the recently held general and by-elections in these regions and have reposed full confidence in the policies of Prime Minister Muhammad Nawaz Sharif. He said people were fed up with confrontational politics and wanted resolution of their problems. He said no political party can match the development works carried out by PMLN Government during last three and half years across the country, saying that PMLN would form next Government in the country including KP on the basis of its record development works, good governance, significant improvement in law and order situation and outstanding socio-economic policies and its effective implementation on ground. Amir Muqam said the opponents were feared from the development works of PMLN Government and scared that their agitational politics would come to an end for ever had Nawaz Sharif completed its constitutional tenure in office. Muqam said presence of senior leadership of mainstream political parties in the public meeting reflected their overwhelming confidence in the policies of Prime Minister Nawaz Sharif. Muqam said Prime Minister Nawaz Sharif was taking keen interest in development of Chitral as people of Chitral were very close to his heart. Muqam added that Nawaz Sharif was the first elected Prime Minister of Pakistan that had visited Chitral district for record four times and approved billions of rupees for development of this remote district of Khyber Pakthunkhwa. He said Prime Minister has issued special instructions for the completion of long awaited gigantic Lowari Tunnel Project by June next year. He said the previous regimes failed to complete this project of immense importance after its foundation stone was laid in 1955 that was great injustice with people of Chitral. Muqam said the PMLN Government soon after coming into power accorded high priority to Lowari Tunnel Project and presence of Prime Minister Muhammad Nawaz Sharif here demonstrated how important this project was for him. Muqam said a record Rs10 billion have been spent on Lowari tunnel by PMLN government during last three years. Muqam said some elements were creating hurdle in China Pakistan Economic Corridor Project that would be foiled with power of people. He said CPEC was a life line project and gift of PMLN Government for people of Pakistan and all its provinces would equally reap its benefits inculding people of Chitral.